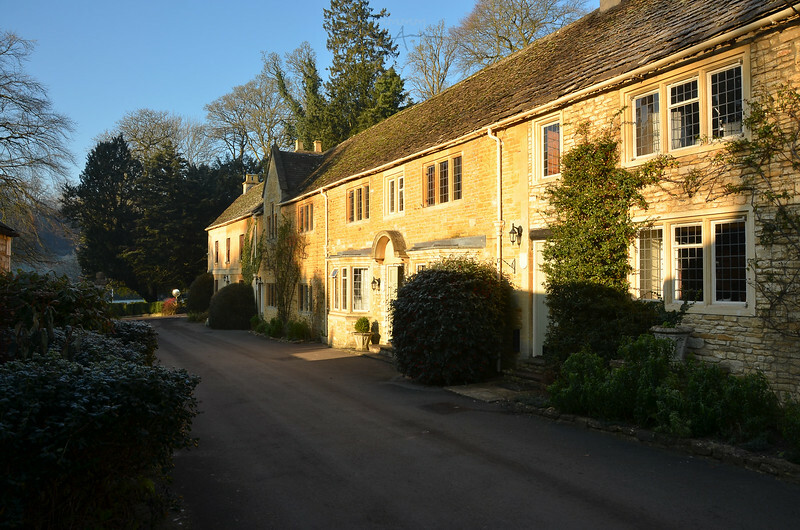 The manor at Castle Coombe is a classic English Country house set in a forgotten valley near to the picture postcard village of Castle Coombe. This village is known as 'the prettiest village in England' and loved by movie makers. It featured in 'War Horse' and 'Stardust' to name but a few ! 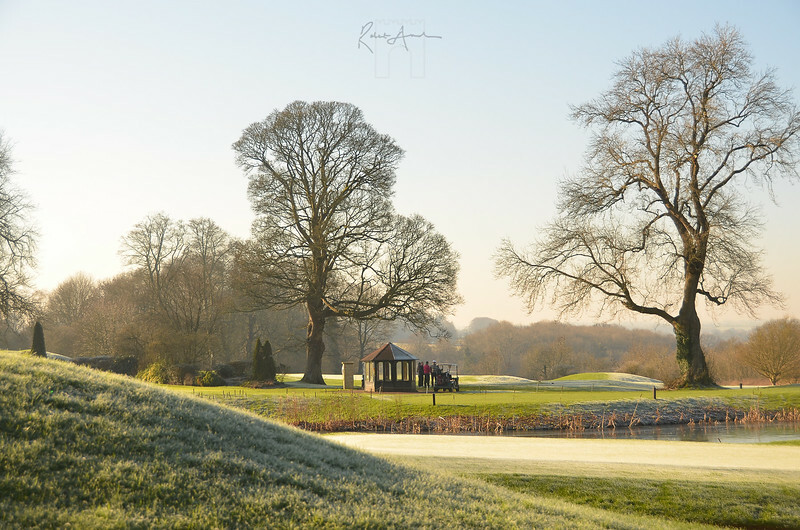 If you are after a fairy tale romantic cotswold wedding this venue could fit the bill. 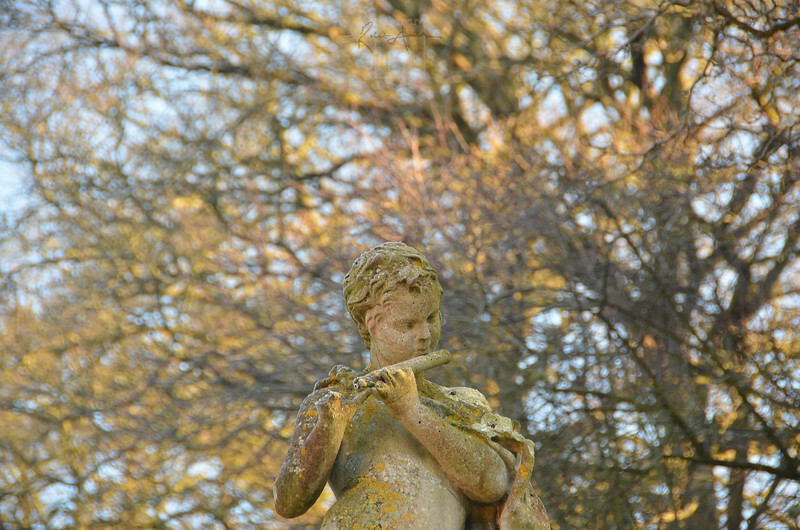 The 14th century ivy covered manor complete with flute playing gargoyles could have come straight out of a fairy tale! Castle Combe itself does receive a lot of day trippers but one of the joys of having a wedding here is the chance for your guests to explore the idyllic woodland in the gardens and medieval weavers cottages and market cross in the village early in the morning sun or in the evening without the crowds. 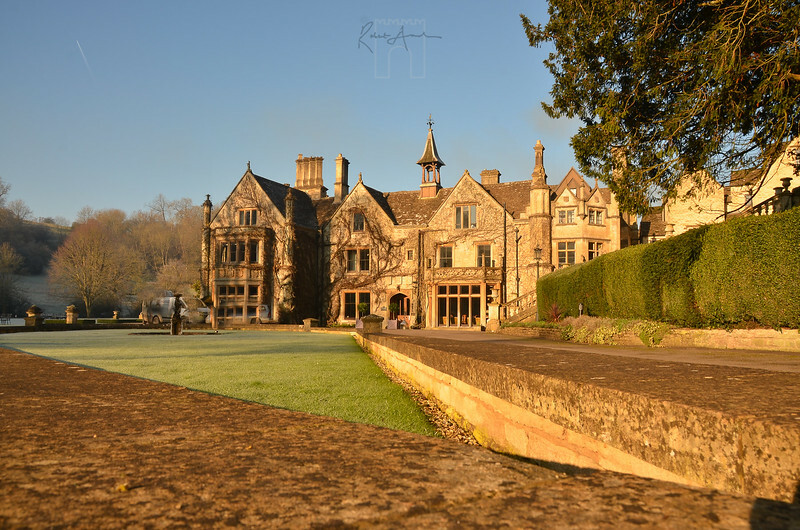 The Manor House in Castle Combe has 46 rooms. Some are in the main building -ask for the ones with views of the grounds through huge bay windows. The remaining rooms are in cottages lining a (private? )street (see the picture below) which takes you directly into the village. 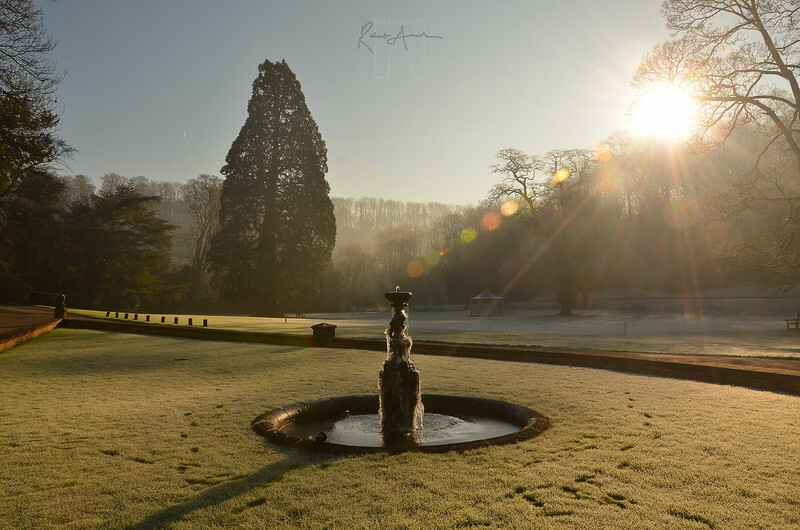 I was lucky enough to photograph a winter wedding at the manor in Castle Coombe near Bath and the grounds looked awe- inspiring in the crisp , frosty morning air as the sun's rays shone through onto a glistening fountain. The hotel has lots to amuse your wedding guests: a croquet lawn, a tennis court and I'm told the front of house staff will set you up with a morning of fishing for brown trout, if you are lucky! Oh and by the way there is an 18 hole golf course designed by Peter Alliss. It's clearly a hotel with a golf course (reachable by a buggy trip down the beautiful valley) , not a golf hotel. Nor is this a spa -if you want one of these, or a swimming pool for that matter, then this is not the spot for you! 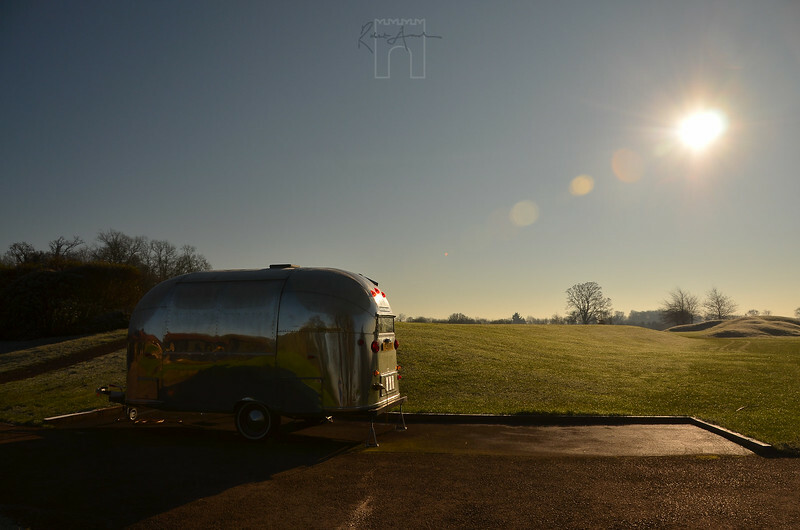 There is even a cool, shiny airstream on the course. I can only dream that it serves well earned bacon rolls to lucky golfers! I always like to save the best till last. The food! Any foodie, like me would be in heaven here. The restaurant has a michelin star and sauces its ingredients from nearby. 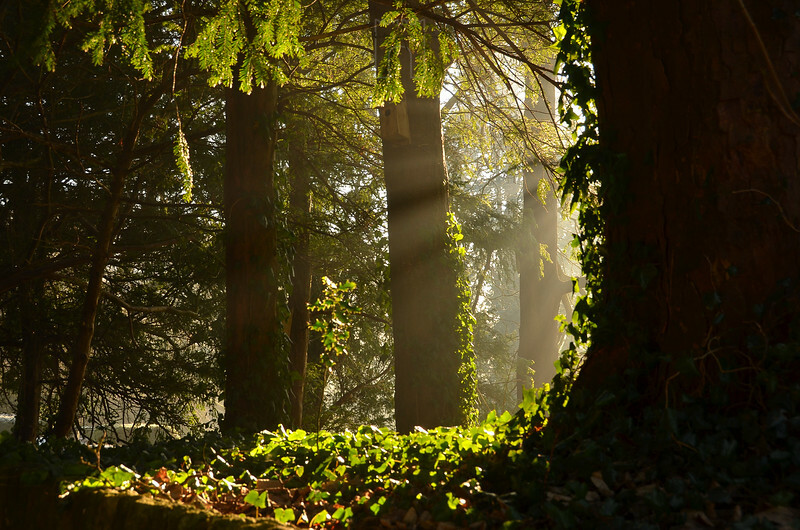 Think wild garlic from the hotel grounds and pork belly and fillet from the hotel's own pigs - it doesn't get any nearer than that. I'm always seduced by a raspberry dessert and the cheesecake below came with its own sorbet and the raspberries were some of the juiciest I've ever had the good fortune to taste. Were it not for this raspberry creation I would have gone for the baked muscavado tart, muscat grapes and walnut brittle, but there is always another time... hopefully! 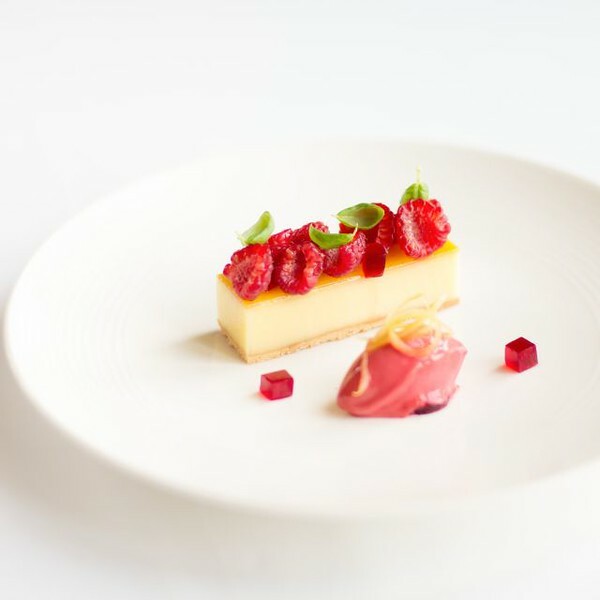 The food is based around great flavour combinations, comfort and good sourcing rather than too much experimentation and it really is the centrepiece at this Wiltshire country house hotel. Just under £20,000 Sunday to Thursday and just under £30,000 on Saturdays.